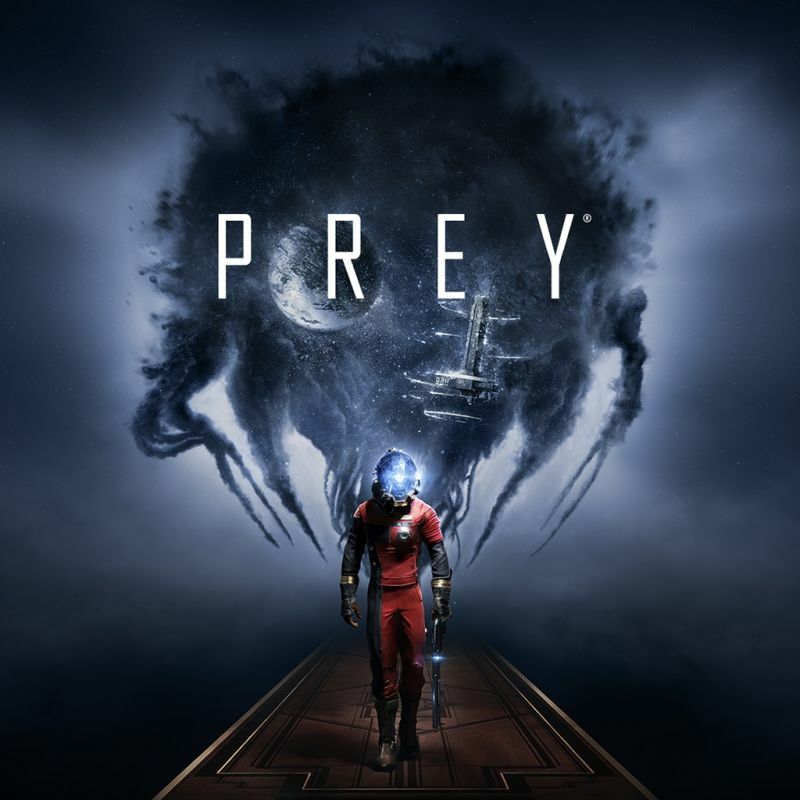 Last years Prey is not to be confused with the 2006 game of the same name, despite being part of the brand this is wholly unrelated to that game apart from the sci-fi setting. 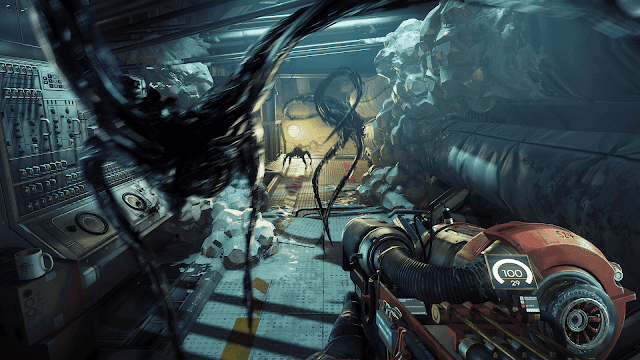 This feels and plays very much like Bioshock, so much so in fact that this feels like a remake, but set aboard a space station rather than under the sea. Imitation is the sincerest form of flattery though and this is a good re-make of that type of game so there was fun to be had. I played the demo of this last year and I found it to be a bit intimidating, the early twist that your trapped in a reoccuring loop to begin with was shown there and so I don't see mentioning that as much of a spoiler. This shares a tremendous amount of similarities with the Bioshock series. I realise System Shock came before Bioshock and like this too was set in space, but having never played it my comparisons will be with the underwater game. Instead of Splicers you have the Typhon, instead of plasmids you have neuromods, transcribes instead of audio diaries, scan enemies for weaknesses much like you did with the camera, you read notes and environmental details to learn about the doomed world and how it got to that state, heck you even start the game armed with a wrench just like that game! I love how similar this feels though, it was cool to get to play another game that has such a solid sense of being a real place despite the fantastical elements. 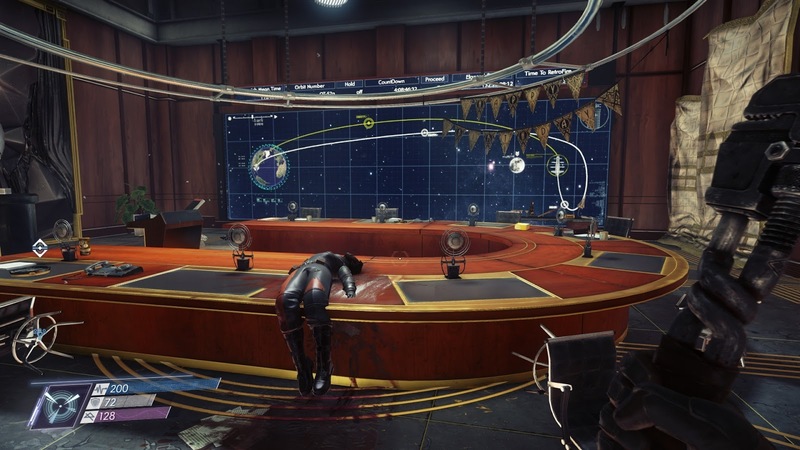 I was pleased to see how non-linear Prey was, the space station is pretty huge and made up of lots and lots of different areas such as research labs, the power station, living quarters, shuttle bay, cargo bay, life support, the main lobby, the gardens and many more places. While your main objective will guide you eventually to all the locations I found it a lot of fun to ignore the main quest and just go explore everywhere, doing lots of stuff out of turn. As incentive there are absolutely loads of side quests to do, a ridiculous amount. I expected a game time of around 6 to 8 hours, my final play time was nearly 25 hours! I put down this mainly due to the large amount of these side quests that range from fetch missions, and finding people to following the last moments of various crew members. Every person on Talos 1 can be found, sure the majority are dead, but it was cool to see so much thought put into this element. I hate to keep bringing up Bioshock but much like that game here the environment tells so much, from hastily erected barricades, to corpses frozen in death reaching out for buttons, to the many computers that let you read emails, and work out the general goings on both leading up to and after the outbreak. While human enemies and robots do feature, the main ones are the Typhons. These are black goo like creatures that all look similar but have various differences. Mimics are the early ones you find, so named as they are able to disguise themselves as any object in the game, leading to some fun surprise moments. The main grunt is a bipedal type that can blast you with energy balls, and later show up as electric and fire based ones. Then you get the larger floating enemies who can control robots, are able to summon energy bolts, and ones that can teleport etc. I liked the amount of enemies, but due to their uniform style they did come across as a little bland for my liking. There are boss fights but it is just against aliens that later come to be normal enemies, I would have liked for a boss battle that was memorable. To fight these you have access to both traditional weapons and the psi powers you unlock by using neuromods. Weapons include pistols, a shotgun, an electricity gun and the great goo gun. The goo gun slows down enemies, but also can be used to create platforms that stick to walls, allowing you to make steps to get to areas out of reach, sometimes letting you get to places you are not meant to be at until later in the game. 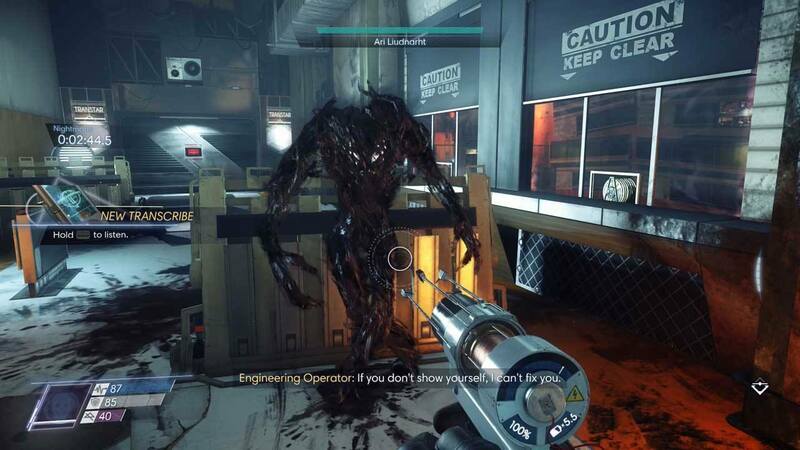 Neuromods are a big part of Prey, like plasmids they give you access to a lot of different abilities. The more human elements let you hack locks, give you more energy, make your attacks stronger and let you upgrade weapons more, but the Typhon abilities are where things get more bizarre. You can get pretty much most the enemies abilities, but the best one lets you change into any object in the environment. There was nothing like transforming into a cup to then roll through a small hole to get into a room otherwise sealed off, I loved the options this gave me as a player. This open ended approach to the game as a whole was awesome, but it led to problems that came to the forefront in the game's final quarter. The different areas you go to in the game are huge, this was good seeing as the load times between areas is ridiculous, on average it took over 2 minutes to load up a new area (on Playstation 4). Heading to places for the first time I never really noticed this too much, by the games end you are being sent all over the station, whether it be side quests, or main story missions. As such I found myself actually spending more time looking at loading screens than playing the darn game towards the end! Became really quite irritating. Early on you get the option to head outside the space station and fly around in zero gravity, eventually you unlock shortcuts to all the key places in the game, but even so you can be looking at multiple long load screens to get anywhere. On the topic of the zero gravity; it was a good diversion and features some clever level design, my only issue being that combat in these places was never that fun. My other big complaint was that even nearly a year after release there were some big bugs that made at least a couple of the side quests impossible to complete, a look online shows these are common bugs that have affected lots of people, not just a weird one off for me in particular. The graphics are great with a lot of detail in the places you go to that makes them feel real and lived in. The sound design is also great, from the various sound effects that let you know what type of item you are collecting, to the great soundtrack that had a lot of sinister and ominous bits of music that creeped me out even when nothing untoward seemed to be going on. I loved the story of trying to work out just what was happening, but I had a feeling it would end up underwhelming, and it did in a way. There are lots of choices you can make throughout the game, such as choosing to rescue fellow survivors and moral dilemmas (such as do you destroy a ship full of passengers that left the station shortly before the outbreak was discovered in case aliens had infiltrated it and are heading to Earth?). These choices do have an effect on the ending but personally I can't help but play every game as a nice gal and so I never felt tricked into going down a specific path. 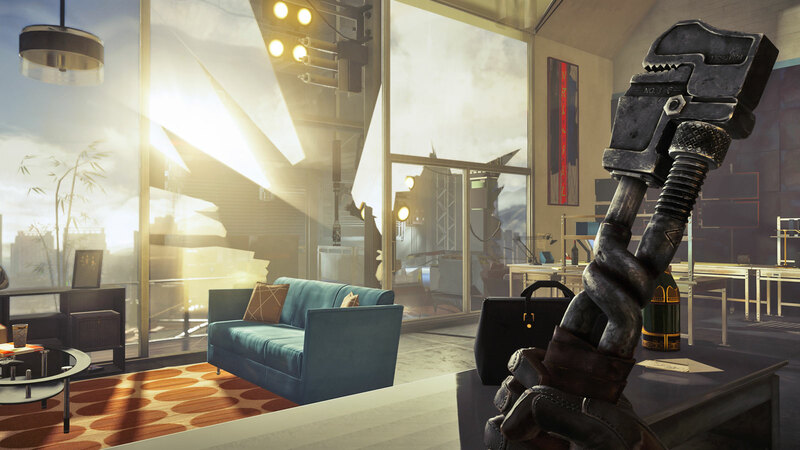 I really enjoyed my time with Prey, it really did feel like Bioshock updated for the modern day. The location of an art deco styled space station cannot compare to wonderful Rapture, but it still has enough about it to remain memorable. The plot didn't exactly go to where I had hoped, the revelations were not stunning, but it was incentive enough to stay immersed in the experience. The long length just about didn't outstay its welcome and was a really decent surprise for someone who had expected it would all be over before the 10 hour mark. I appreciated the more open ended way of playing this that drew similarities with the Metroidvania style of game, that is never a bad thing to be. This is a fantastic game, just be aware of the long, long load times.